Before we move on to see the difficulties involved in assessing the national income, let us look into the kinds of uses of the concept of national income. The economists say that the economic growth of a country is reflected in the national income. The higher the national income is, the better is the growth of the country�s economy. Growth covers a lot of facts like the growth of the industries in the country in terms of its financial operations. It simply means that the company continues to earn more profit year on year. The growth of an industry brings prosperity both to the owners of the industry, so to say, and to the employees of the industry. In turn, it leads to better standard of living in the sense that both the employer and the employee tend to spend more on quality-oriented products. Consumerism gets a boost and commerce and trade tend to flourish. In all these facts, we can see there is more money and more money means growth of the country�s economy in one sense. The national income can be used as a parameter to assess the competency of the planning that is being adopted in the country, that is, by the government. It is used to measure the success or the failure of the economic planning of the country. Planning for the development of the country�s economy includes innumerable sectors in the country. Growing national income reflects successful planning conceived and implemented in all the sectors. The national income is also used to arrive at the per capita income in a given period. These are the basic uses to which the national income is applied. Indeed, lot of research has been done the concept of national income with reference to all categories of countries such as developed, developing and non-developed countries. Having very briefly seen the uses of the national income in the domain of economics, let us now proceed to discuss the difficulties that pose us when we try to estimate the exact national income. First, non-availability of exact income details challenges the attempt to assess the national income. Income accounted and audited gives us exact information. But in a society, there are thousands of jobs and services for which whatever money is paid is not exactly accounted. 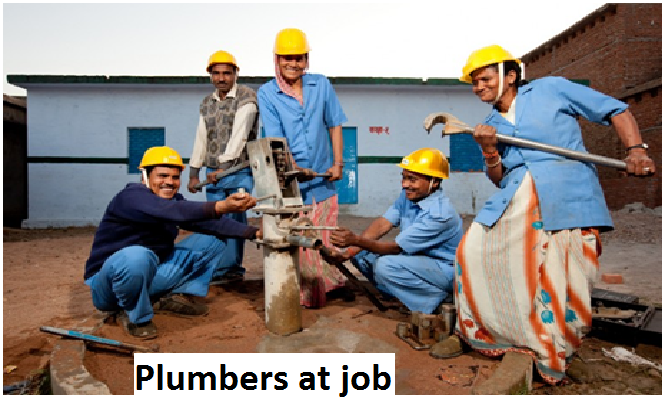 For example, a plumber, an electrician, a carpenter, people like them, do earn and have to earn to keep them alive. And the state can never know how much each of them earns every day. They earn; but their income details do not reach the state. Therefore the figure the state gives as the national income cannot be right and accurate. The available statistics does not indicate the total income of the state in a given period. Double or multiple counting is another popular difficulty faced in estimating the national income. It only means the value of the intermediary products is also taken into account separately along with the value of the final product. The baker buys wheat from the whole saler. The whole saler gets his share from the mega stockist who in turn gets from the farmers direct. At every exchange of the product between two stakeholders, a value is added. But the real value is the value of the final product: the bread, so to say. If the value of the product at every exchange is taken into account, then, it becomes double, triple counting. Such lapses into accounting will give false and inflated figure as the national income. We will see some more difficulties in assessing the national income in our next session.